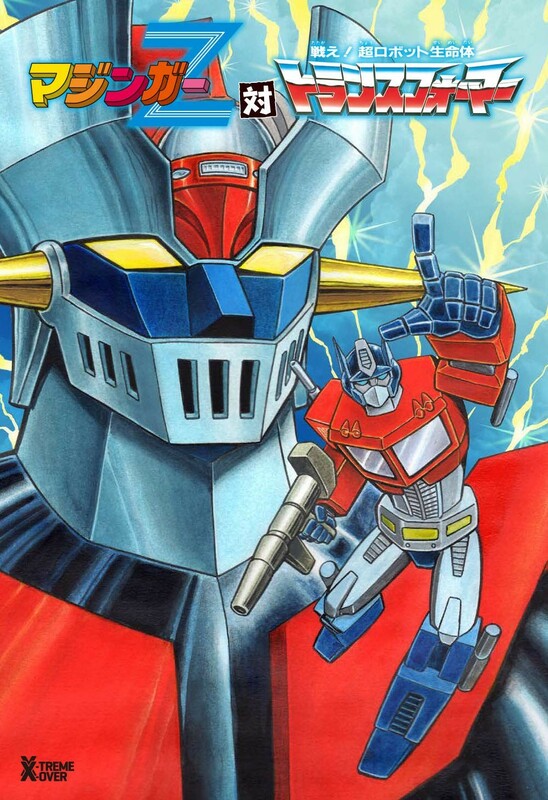 We're only a few weeks away from the March 28 release of Village Books' epic Mazinger Z vs Transformers comic crossover in Japan and we're finally getting our first look at the covers. When the book was first announced in early February we were promised a cover by the legend that is Go Nagai (Mazinger, Grendizer, Devilman) and he sure did deliver! The man hasn't missed a beat, still rocking his classic hand-drawn style that still manages to look fresh with that more modern looking Optimus Prime on the cover. I almost want a copy to frame! But that's not all! As a surprise call back to the early days of the Transformers in the 1980s we've also got an Amazon Japan exclusive cover from mecha designer Tsuyoshi Nonaka. You may not know his name, but chances are you've seen his work as his art often appeared in Japan's TV Magazine while he was a member of freelance artist stable Studio OX. 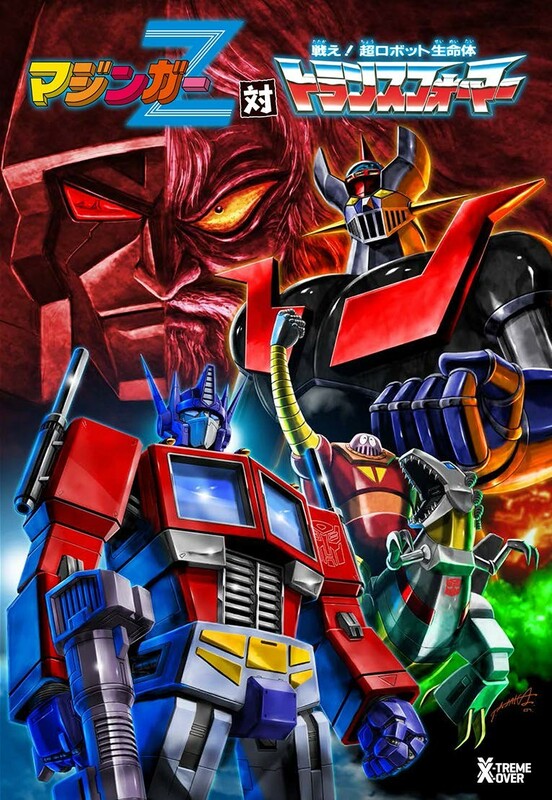 The cover art features the all too familiar super long and pointy Optimus Prime "ears" that were popular with OX's artists. Clicking each image above will take you to their respective listing on Amazon Japan where each book can be bought for 1,980 JPY if shipped outside of Japan (shipping is about 950 JPY to the US). The book itself is 104 pages long and features the alternate covers in the back so if you go for the Amazon Japan cover you'll still get to enjoy the standard art. A small preview from Figure King can be seen here and be sure to let everyone know what you think in the Energon Pub forums below! I would love to see this translated, but what are the chances any of the companies here could or would license it. Rodimus Knight wrote: I would love to see this translated, but what are the chances any of the companies here could or would license it. Slim to none, but I'd love to be surprised! It's at least on Karyuudo Fansubs's extensively long suggestions list. 5,367 pages were recently viewed by 616 unique visitors. This page was viewed 1 times on Tuesday, April 23rd 2019 7:33am CDT. © 2019 Seibertron, Inc. DBA Seibertron.com. All Rights Reserved. Established June 2000. Seibertron.com is owned by Ryan Yzquierdo.